two years ago, our family started a new tradition for celebrating Advent. it was the height of Elf on the Shelf popularity, and as much fun as it looked, and as much as Pinterest wanted me to, i just couldn't buy into that trend. our kids know that Santa is pretend and Jesus is the reason for the season, and that goofy elf character contradicted everything we teach our children about Christmas. 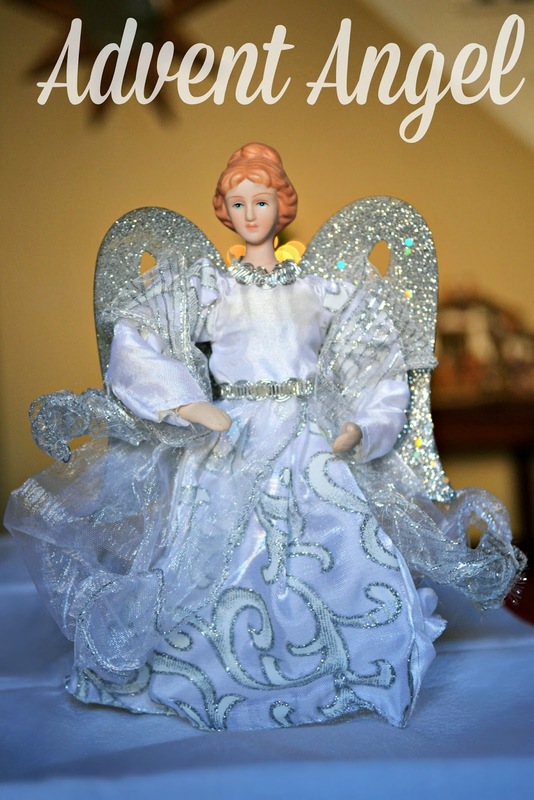 so, i came up with an alternative to the elf that is just as fun but doesn't compromise the true meaning of the holiday: the Advent Angel. she's just a tree-topper i picked up at Hobby Lobby, with a coupon and a vague plan for celebrating Advent. i was kinda winging it that year. i wanted a daily reminder and celebration of the coming of Christ, and i wanted it to be fun, yet meaningful for the kids. i wanted to impress God's Word on their hearts, and instill in them a reverence for Christmas. 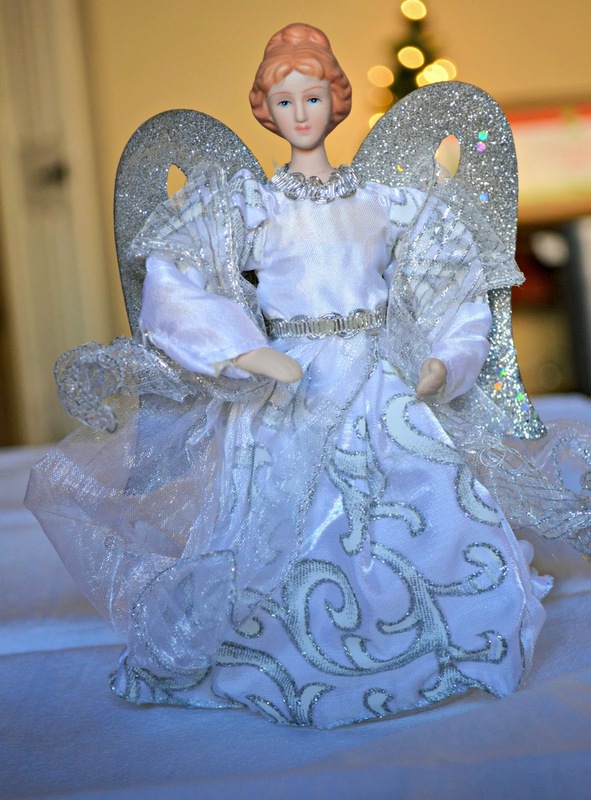 and so, i paired the Advent Angel (my kids named her Mary) with Truth in the Tinsel, a book with Scripture reading, ornament crafts, biblical talking points and extension activities to celebrate the birth of Jesus. PERFECT! Mary the Advent Angel hides in a silly place every night. i put her in crazy places like on top of lampshades or in the pantry or hanging from the ceiling fan. in the morning, the kids have a blast trying to find her, and then they read the letter that she has in her arms. i pre-write the letters, roll the paper like a scroll, and tuck the letter into the angel's arms. 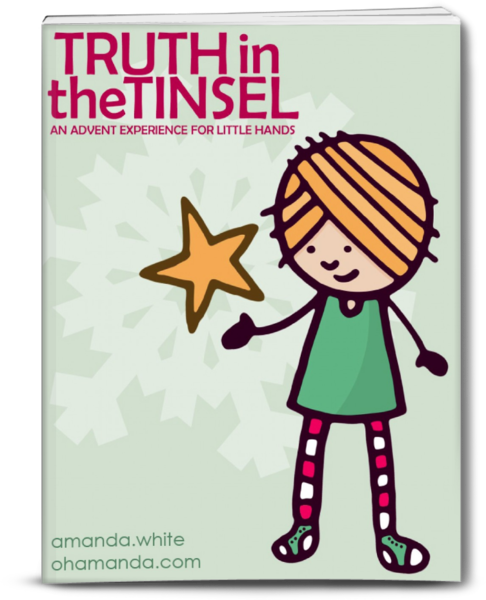 the letter has an Advent activity and devotional for the day, taken straight from Truth in the Tinsel. "Good morning! Today, please read Luke 1:5-25, the story of Zechariah. After you read it, use the craft supplies I left on the fireplace to make a Zechariah with a bubble in his mouth to remind us of this story. Use your mouth for good today. Say, “I believe what God says!” while standing on one foot. Now say it while spinning around. See if you can say the verse while holding your tongue between your fingers! I will hide again tonight and have a new fun activity for you in the morning! Love, Mary the Advent Angel"
we got the Christmas decorations out yesterday. every time my husband would come down the attic ladder with another box, our 6-year-old son looked intently for the label so he could read what was inside. he was excited for three boxes in particular - the boxes that contained his favorite Christmas traditions: the box with the Christmas-song-singing stuffed animals, the box with the nativity scene, and the box with Mary the Advent Angel. 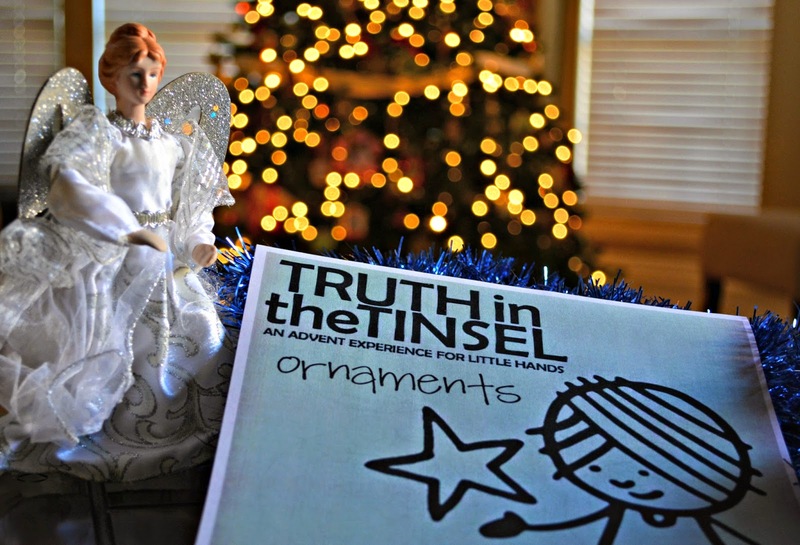 the angel tree-topper and Truth in the Tinsel is a fun and meaningful Advent tradition! Advent starts December 1 (tomorrow!) 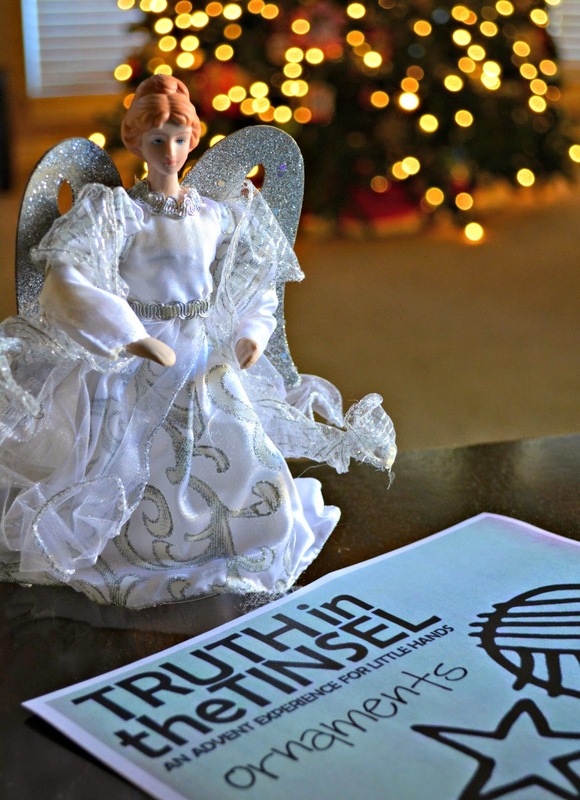 grab the Truth in the Tinsel eBook and an angel figurine and start your own Christ-centered Advent Christmas countdown.